“What do imperial Rome and a contemporary L.A. prep school have in common? 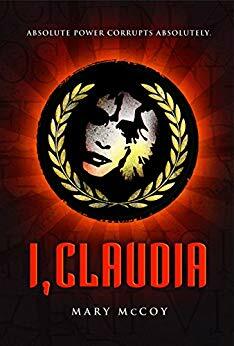 More than you might think. . .With psychological thrills, all-too-apt historical asides, and a witty, unforgettable narrator, I, CLAUDIA is a smart and topical novel.” - Kate Hattemer, author of The Land of 10,000 Madonnas and The Vigilante Poets of Selwyn Academy. DISAFFECTED TEEN HISTORIAN CLAUDIA MCCARTHY never wanted to be in charge of anything at the elite Imperial Day Academy. She never even wanted to be noticed. But when she’s pulled into the tumultuous and high-profile worlds of the school’s Senate and Honor Council, suddenly Claudia is wielding power over her fellow students that she never expected to have and isn’t sure she wants.